The USD/JPY suffered some choppy trading around the Mid-Terms but remains on high ground ahead fo the Fed decision. What are the levels to watch? The Technical Confluences Indicator shows that the pair is struggling with 113.64 which is the convergence of the Bollinger Band 15m-Lower, the BB one-day Upper, the Simple Moving Average 10-1h, and the Fibonacci 23.6% one-day. 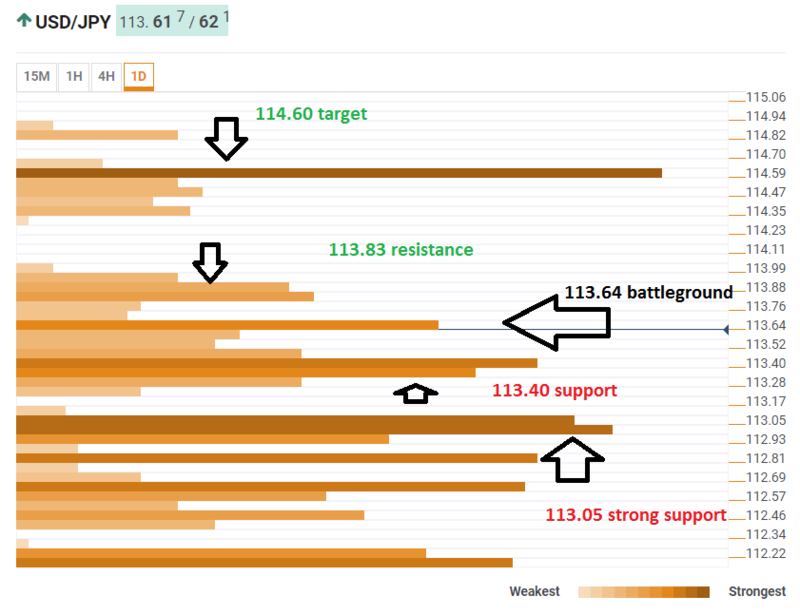 Looking up, the USD/JPY may see some resistance around 113.83 which is the confluence of the BB one-hour Upper and the Pivot Point one-week Resistance 1. The next resistance line is only at 114.60 where we see the potent Pivot Point one-month Resistance 1, the previous month's high, and the PP one-week R2. Looking down, 113.40 can provide support. It is the meeting point of the SMA 200-15m, the SMA 50-1h, the SMA 10-4h, the SMA 100-15m, the BB 4h-Middle, and the Fibonacci 61.8% one-month. Further down, 113.05 is where the SMA 50-4h, the BB 4h-Lower, the Fibonacci 23.6% one-week, and the BB 1h-Lower, and the SMA 200-1h converge.